This phrase at the beginning of Kino no Tabi, or Kino’s Journey, is very indicative about the show itself. In this 13-episode series, the show’s namesake, an androgynous female traveler goes from country to country in a surreal, yet realistic from our perspective, world with no apparent destination in mind. Almost every episode has Kino visiting or reflecting on visits to many countries that she comes across throughout a trip that seems long-lasting and filled with adventure. A talking motorcycle named Hermes is her sole companion and her quick means of traversing ground when going places. A sentient machine, it often provides a valuable second opinion for Kino and the audience to whatever situations both are subjected to along the way. The two face many remarkable, thought-provoking adventures throughout the series, and though the show is episodic, one can tell that both manage to learn valuable lessons from their encounters for future purposes. These messages also seem to be ones that the creators hope to pass on to the viewers, and as a result the world that Kino and Hermes travel through and the show itself come off like a fable where audience can choose to absorb their meanings. An interesting thing about Kino’s Journey is that no matter where the two friends go in the world, each country has a specific culture or custom that is different from all the others that they’ve been to. Kino usually observes and participates in these various customs (while Hermes usually just observes what Kino does), and depending on the country and its specific rituals, the involvement is accidental or fully intentional and is indirect or straightforward. To that extent, the world that Kino lives in is made up of myth, as the countries happen to be “symbolic representations of cultural priorities, beliefs and prejudices” (Doty, 18). We quickly find that every country presents a different aspect of the human condition or social behavior, be that aspect positive or negative. This leads to one of the main ideas in Kino’s Journey, a dichotomy in that the world is not beautiful, yet it still is. Examples can range from what happens when democracy can go too far based on one decision (“too much of a good thing is bad”, succinctly put), to what people feel they have to sacrifice and compensate for in order to obtain essential utopia (hopefully Tengen Toppa Gurren Lagann rings some bells here). The various facets are universal to our humankind in general, and that makes these countries myth-like. In how these countries relate to Kino and Hermes, Karl Jung notes that an archetype “does not ‘invent’ myths, it experiences them” (pg. 73). So in using Jung’s statements, both travelers become archetypes in the world, caught between the beautiful side of the world, as well as its ugly characteristics. To place the rest of the focus on the main character, the way Kino goes through her journey highlights that she’s a complex character. Throughout the show, we have no idea if there is a specific pattern that she follows when she goes to places. Usually only while traveling from place to place, Kino explains to Hermes and the viewers why she goes (or went) to the particular destination in mind. Sometimes the reason is based on what she hears or observes while traveling, yet other times, it is on a whim. Regardless of wherever she goes, Kino idiosyncratically makes it a point to stay for only three nights in a country before leaving if only just for the sake of traveling, and this rule is faithfully maintained regardless of whether or not Kino wants to stay in a particular land. A teenager, Kino is very intelligent for her age, and is a master at guns, strategy, and hand-to-hand combat. One has to be very skilled and experienced in survival and combat in order to stay alive while traveling in Kino’s world, and because Kino has these abilities at a young age, one can liken her to the Jungian archetype of a child god. It is easy to make the connection when Jung notes that “despite all dangers, [the ‘child’] will unexpectedly pull through”, as throughout the series Kino comes close to death many times, yet always manages to live on without any lasting problems (pg. 89). Kino also suffers from abandonment, which is another one of Jung’s criteria of the child archetype. In Kino’s case, she’s abandoned by her old surroundings, which is the traditional case that Jung states, but in a twist, she herself also abandons them because of necessity, as we find out in Kino’s past from episode 4, “Land of Adults”. In her homeland, after a certain age, kids go into a certain factory, where they have an operation in which they gain the mindset of an interminably happy adult filled with responsibility, but literally lose their childhood (the innocence, the boundless possibilities that they have for the future, etc.) in the process. The myth in Kino’s homeland is the sense that adulthood is the normal progression of life, and that being an adult leads to happiness, but at the expense of your childhood memories, which Jung argues is not wise to do. Kino, under a different name in this hometown, is around the time when her operation to adulthood is near, and she has no problem with her fate until an adult traveler named Kino comes. Kino manages to get her thinking about traveling for the sake of traveling, without a known destination planned. The girl is enthralled by Kino’s words, and becomes less certain about becoming an adult, since the operation would make her forget about the new, exciting opportunities that had suddenly opened up to her. On the day of the operation, she decides not to have the operation, which leads the townspeople to declare that she is a bad child for not accepting and therefore must die; in this case, the town abandons any hope for the girl to become a part of its myth. In order to survive, through a series of fortunate and unfortunate events, the girl escapes her hometown, thus deserting that specific myth which would lead to an unhappy end, and starts on her own journey with Hermes. 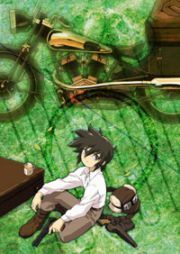 In this sense, Kino becomes and continues to be an “irrational third” throughout the show, standing between the realms of childhood and adulthood. She decides to “stay” with her childhood side in terms of her old home by continuing to travel, yet at the same time becomes more adult-like physically and mentally in our eyes due to the time traveled and the experiences she gets. Other people that Kino and Hermes meet along the way have much more of an impact on the viewers because the myth of a certain country ties towards these extra characters in a way that “strikes a chord ‘for no apparent reason'” to the viewers (Leeming, 4). These influential people tend to be archetypes as well and it is interesting to note Kino’s interactions with them. Episodes 6 and 7 of Kino, “Coliseum (Part I and II)”, are a good example of such an instance occurring. The two companions travel to a land that Kino heard was a beautiful place to visit, and we find place is indeed beautiful, yet it is also a hedonistic paradise lead by an insane king. The ruler’s philosophy is that since this utopia will not last, he might as well enjoy it at the expense of others, and so maintains a kingdom with first class citizens sharing in luxury, while slaves do all of their work in the slum areas. As the two travelers enter the country, Kino is told by guards that all newcomers, regardless of purpose, must participate in a battle tournament set up by the king. All competitors can use any means necessary and any weapons that they can carry to win the battle. The winner becomes a first class citizen of the country and adds a new law that everyone must abide in the country, whereas the losers either die or surrender and get deported; there is no refusal in this “myth”. Kino initially decides to surrender in the first battle, but events occur and she decides to keep fighting in the tournament with no real reason for doing so. People are surprised by her small size, yet she wins all of her matches up until the final without killing anyone. The idea of “smaller than small” yet “bigger than big” works here and fits with the child archetype that Kino embodies (Jung, 90). In the final, Kino meets an opponent named Shizu who happens to be the son of the country’s ruler. As a child his mother, for fear of her husband’s insanity, sent him and one other child away from the country, only for her die at the king’s hand later. In this case, Shizu is still a young man in his early twenties, and adding his abandonment to the equation he also fits into the child archetype. Coming back to the land he was intentionally exiled from, his goal is to kill the king once he wins, and though he also does not kill in his matches, he would not refrain from killing if necessary. The viewer understands what he is going through, and so obviously support his rationale this, yet in the end Kino finds a reason for fighting and kills the king herself because to her, revenge is not a means of compensation for what was lost. In this example, one could say that the myth shows the problems of self-gratification in society while also demonstrating how revenge can blind people to what can be the obvious truth. It is interactions like these that Kino and Hermes make their way throughout the world in Kino’s Journey. For the most part, there is finality in almost every episode (which ties into the show’s serial qualities), since Kino makes sure that every situation she is in is resolved in a way that she can abide by her rules. 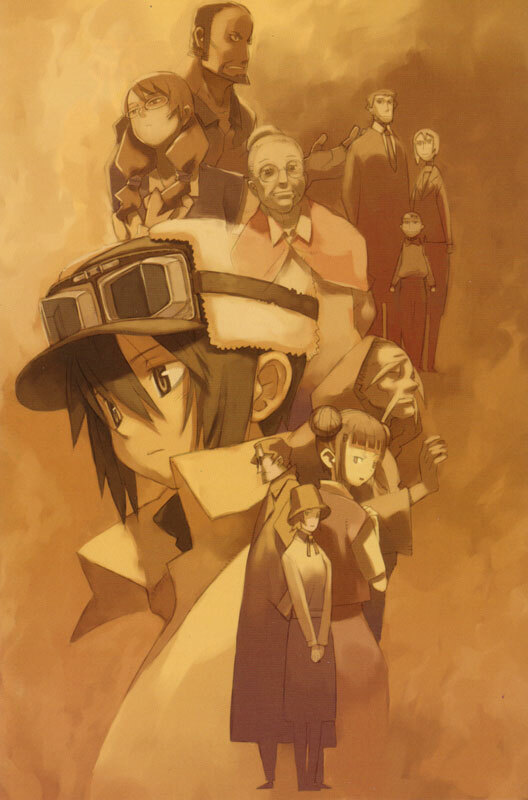 At the end of the series it is hard for viewers to doubt that reaching the end of the journey is not Kino’s goal, since the show leaves Kino and Hermes traveling to the next interesting adventure. The series itself an overall myth, with the message being that it is what is done on the journey that is the important thing, the means and not the ends, so to speak. Doty, William A.”Definitions and Classifications”. Myth: A Handbook. Greenwood Press, 2004. Pages 11-37. Jung, Karl. “The Psychology of the Child Archetype”. Essays on a Science of Mythology. Pantheon, 1949. Pages 70-100. Leeming, David Adam. “Introduction: The Meaning of Myth” Mythology; the Voyage of the Hero. Second edition. Harper/Collins, 1981. Pages 1-8. What a coincidence; I’m in the middle of watching it too, and I find it to be rather intriguing and awesome at the same time. Incisive post is incisive (and good)! I haven’t seen Kino’s Journey, but your reading of it based on archetypes and mythmaking sounds very plausible to me. The series sounds like a set of thought experiments or intuition pumps, though since this is entertainment the emphasis is probably on emotional rather than logical reaction. Lol, that makes you pansexual. choo: You and the latter half of the American population. N: Sorry about that, I didn’t add your blog until now to my blogroll. You’re added now. choo23 and Chun: No problem. Though in choo23’s case, you find that Kino’s gender doesn’t really matter. Funnily enough, I wasn’t sure if Kino was a girl or not for the first couple of episodes either! You’re right though – Kino’s gender isn’t important at all, which is perhaps why she’s so androgynous. She’s supposed to be the impartial every(wo)man. I don’t know much about Jung and his theories (although, if you were using the content of this post for a Jung-related assignment, you did a good job) but I do view it as a series of allegories and fables. You don’t learn a great deal about the protagonist but every episode has a lot to say about human nature.